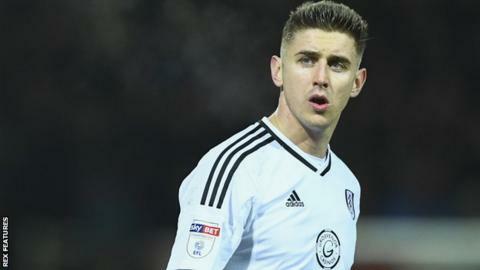 Fulham captain Tom Cairney thinks the side are suffering "a hangover" from last season's Championship play-off semi-final defeat by Reading. Having finished sixth last season, the Whites are 15th, nine points off the play-offs, after 20 games of 2017-18. "I think we were a surprise last season and teams didn't know whether to drop off or press us," the 26-year-old midfielder told BBC Radio London. "When people have played us this season it has been a totally different feel." He added; "The top teams have to deal with it every week and we are no different." The west London club were beaten 2-1 by the Royals on aggregate, with Jaap Stam's side going on to lose to Huddersfield Town in the Wembley final. Fulham spent the majority of last season outside of the top six, having battled relegation in the two previous campaigns after seeing their 13-year stay in the Premier League end in the summer of 2014. "To get there was a great achievement, especially after the couple of seasons Fulham had in the Championship before that," said Cairney. "[The defeat] was the hardest thing to get over. "We did make the club turn the corner and we have to try to do it again somehow. The second season is always the hardest to do it again. "At this stage last season we started to put a few results together and it is time we did that now."